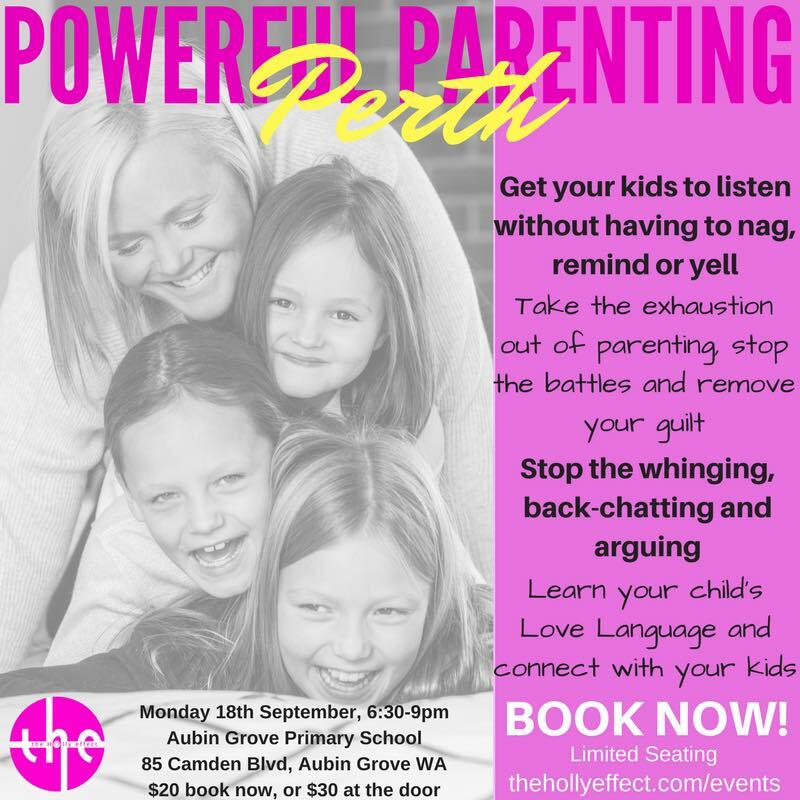 An exciting event, Aubin Grove Primary School is proud to host International Best-Selling Children’s Author & highly sought after Motivational Speaker, Holly Nunan presenting her “Powerful Parenting” workshop on Monday 18th September. Tickets are strictly limited and on sale NOW. As hosts, AGPS families are 1st to hear of this special event, so make sure you secure your ticket NOW. Make the most of this opportunity as AGPS leads the way in WA as a forward thinking community providing a positive approach to parenting our happy, healthy kids.